MOSCOW, August 2. /TASS/. The Moscow City Court upheld arrest of Russian scientist from the Central Research Institute of Machine-Building, Viktor Kudryavtsev, who was pressed with high treason charges, a TASS correspondent reported. During the hearing held behind the closed doors, the judge refused to satisfy the complaint of defense lawyers and upheld the Lefortovo district court’s ruling. The attorneys had demanded placing Kudryavtsev under house arrest. Kudryavtsev is suspected of sharing secret data with Belgium’s Von Karman Institute for Fluid Dynamics, lawyer Evgeny Smirnov told reporters. "We studied the case files, they are linked to an organization with which the Central Research Institute of Machine-Building (TsNIImash) cooperated, not to a country," he said. 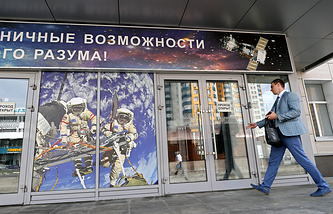 The Russian rocket and spacecraft scientific center had an agreement with the Belgium-based institute signed at the Russian government’s level. The lawyer insisted that his client hadn’t had access to any secret documents over more than the past 20 years. "Kudryavtsev is not giving testimony as he neither knows nor understands the accusations against him." According to the case files, the secret data had been shared from Korolev, a city near Moscow. "We don’t know which device was used to send this information and who had access to it," Smirnov said. Kudryavtsev was placed into custody after the Federal Security Service personnel questioned scientist Vladimir Lapygin, who was his boss at the scientific center and who was sentenced for high treason. Candidate of Technical Sciences Kudryavtsev was arrested on July 19. As soon as the scientist was detained, investigators made a decision to search the offices of TsNIImash and other facilities. As the TsNIImash press office told TASS, the investigative team had no questions to the research institute’s current management and the investigation relates to the 2013 events. The press service of Roscosmos said the state space corporation’s chief Dmitry Rogozin has been informed about the probe and has ordered to provide all the necessary assistance to the investigators.